WikiLinks is the most fun and powerful way to discover everything Wikipedia has to offer, in a fantastic multilingual and multimedia experience including an exclusive mind-map of your navigation, suggested YouTube videos, a revolutionary article preview, advanced image browsing, iCloud synchronization of history and bookmarks and more! • Tap and hold on any link to see a preview of the article. No need to jump back and forth! 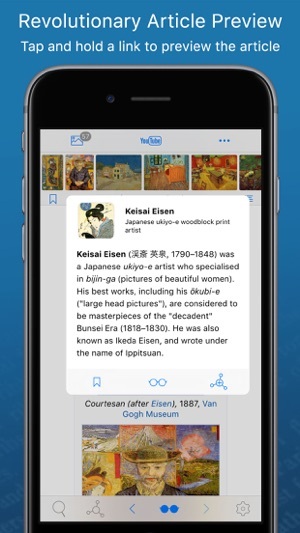 • Reading history, bookmarks and language settings synchronized across your devices. 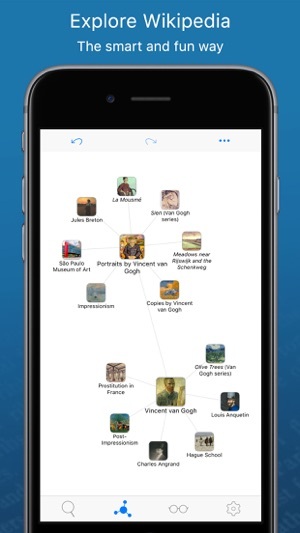 • Share sessions (mind maps) with friends, students, or amongst devices! • Open Wikipedia articles in WikiLinks from Safari and other apps (requires activation of the extension). • Fast Wikipedia article search in all the languages of your choice at once. • Unique full-text search in reading history. • Articles near your location. • Unique YouTube video integration. 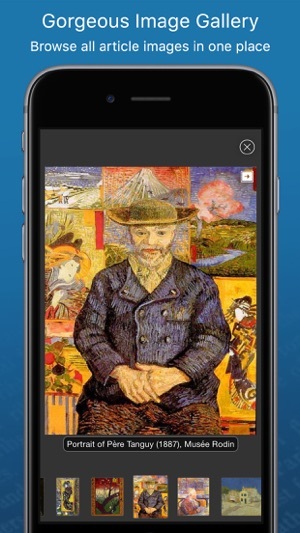 • WikiLinks is the first and only app that plays Wikipedia videos on mobile Apple devices! • Fullscreen image gallery with captions. • Easy access to any image in the article via the image bar. • Keep and manage a list of bookmarks of your favorite articles. • Keep and manage a complete history of all read articles. • Search for text in previously read articles. 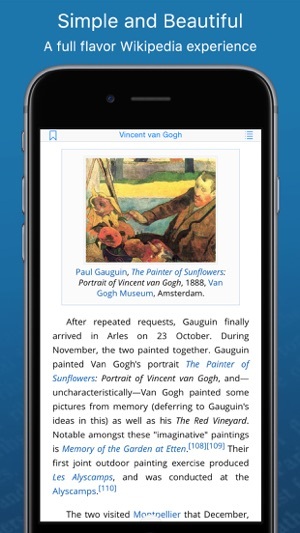 • WikiLinks' unique algorithm brings you new and unexpected reading material. • 2D mind map to keep track of your journey and suggest new paths. • Easily find any text in the current article. • Interactive table of contents. • Customize text display (font, hyphenation, justification). • Offline reading of previously read articles, including images. • Articles in the mind map can be downloaded all at once for later offline viewing. And much more! Visit our site to see everything you can do with WikiLinks. WIKIPEDIA™, the Wikipedia W Logo™, the Wikipedia Puzzle Globe Logo™, WIKTIONARY™ and the Wiktionary Tile Logo™ are trademarks of the Wikimedia Foundation and are used with the permission of the Wikimedia Foundation. We are not endorsed by or affiliated with the Wikimedia Foundation. No fixed portion of WikiLinks’ proceeds will be donated to WMF. I love the app and use it everyday. One issue that occurs regularly is that after browsing several articles, the app will suddenly fail to load content. It will just show a small animation and a blank page, as if there is no internet connection. Sometimes when it does this, the text of the article will load, but not the images. Once the app begins this behavior, any further navigation to other articles will not work. The only fix is to force-close the app and reload it. Then it works fine again for another 5 or 10 articles until the bug repeats itself. Update: this issue is present in both my IPad Pro 9.7 and my iPad 3. It is reproducible 100% of the time. Please fix this if possible. An absolutely great visual interface to Wikipedia. Makes doing research so much easier. The only thing missing, that keeps me from giving five stars, is the ability to create and manage bookmarks in folders. (I happen to have more than 150 so far.) Being able to search Wikipedia using “visual” bookmarks would be even better! Although, a infrequent nexus may be a bit contrived, the visual stimulation which one enjoys is the crux. Reading in landscape is so very satisfying. The app allows a small window/pop up to open on a long press. At that point you can do a quick read or, open the linked page. Wonderful addition. Especially useful on a “disambiguation” page for a quick but informative peek at an article. Overall, WikiLinks is the reference app of choice. Well done.